HCM City (VNA) – Industrial firms from Japan’s Oita prefecture expressed their wish to cooperate with Vietnamese businesses at a seminar to promote Vietnam-Japan trade in HCM City on November 14. Chairman of the Oita Chamber of Commerce and Industry Kiyotaka Himeno said Vietnam is a developing country with many potential free trade deals. Especially, it is a member of the dynamic ASEAN region, which is expected to develop strongly in a foreseeable future. He added that Vietnam boasts an abundant and young workforce but it needs high quality workers. Therefore, Japanese businesses hope to strengthen human resources cooperation. Le Nguyen Duy Oanh, Deputy Director of the Ho Chi Minh City Centre of Supporting Industries Development (CSID) shared that Japanese firms want to seek suppliers and partners to build factories and transfer technology in the fields of metal production and mechanical engineering. At the seminar, the two countries’ businesses exchanged information and studied each other’s demands and supply ability. 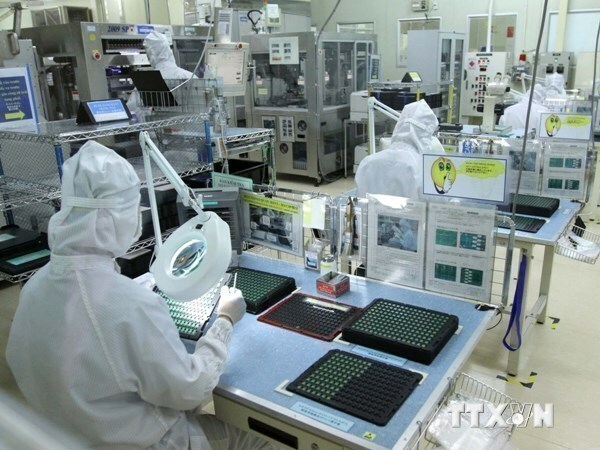 Japanese firms will pay field trips to some factories in HCM City and study the premises of Hiep Phuoc industrial park.